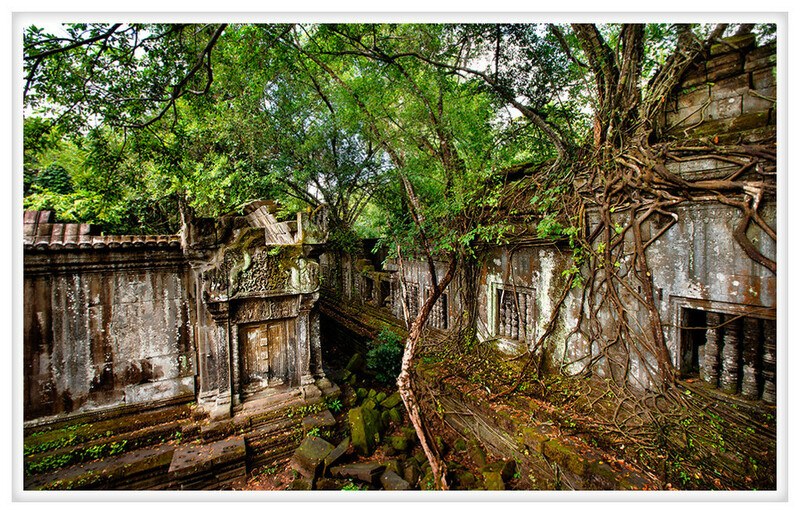 I'm back in Beng Mealea tonight. It is quite cold here, near freezing with the wind chill taking it into the upper teens. So instead of dwelling on the terrible weather outside I am sitting at my desk wrapped in a blanket and trying to recall the heat and humidity of Cambodia. I can't help but be enchanted by the juxtaposition of man and nature at this temple. It is like the lily pond that Beng Mealea was named for took offense at the structure and called the jungle to reclaim what was rightfully their land. It might be a slow process but the plants have been winning. For better or worse the rediscovery of this ancient site has halted all progress and the battle between temple and jungle is once again being held in check by man.